Her power: Frigga possesses all the normal qualities of an Asgardian—superhuman strength, speed, durability, and longevity. In addition, she has the power of creating glamours and illusions of both herself and others, in which she can project an image of someone not there, or appear as another—an ability she taught her adopted son, Loki. 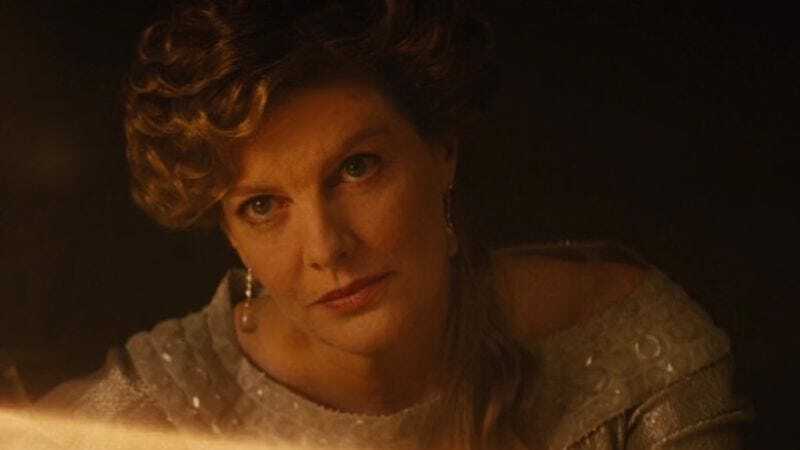 Her story: Frigga is married to Odin, king of Asgard, and at the beginning of Thor is shown as a proud mother of her son at his (interrupted) coronation. When Odin banishes Thor and then falls ill, Frigga keeps watch over him throughout his sleep and recovery, even killing a Frost Giant during Laufey’s assault on Asgard. In Thor: The Dark World, she helps to protect Jane Foster from Malekith and the Dark Elves when they, too, attack Asgard, and is killed while defending Jane. Where will we see her next? Possibly a flashback in Thor: Ragnarok, or possibly never.